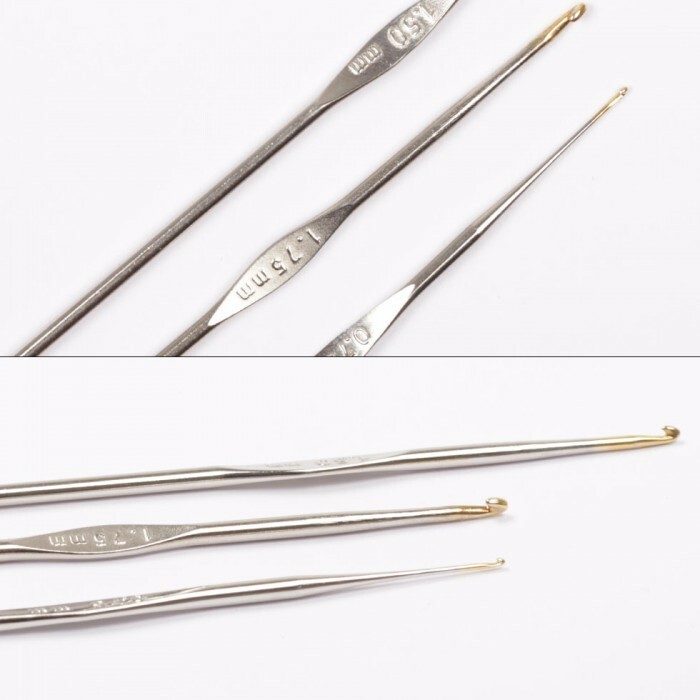 This series of steel crochet hooks contain sizes from 14-6 (0.75 mm- 1.75 mm), and all of them are 5.1 inches (13 cm) long. Hooks in these sizes make it possible to crochet very small and tight stitches and are therefore very useful for small patterns. Since the needle is made of steel, it is durable despite its small size. 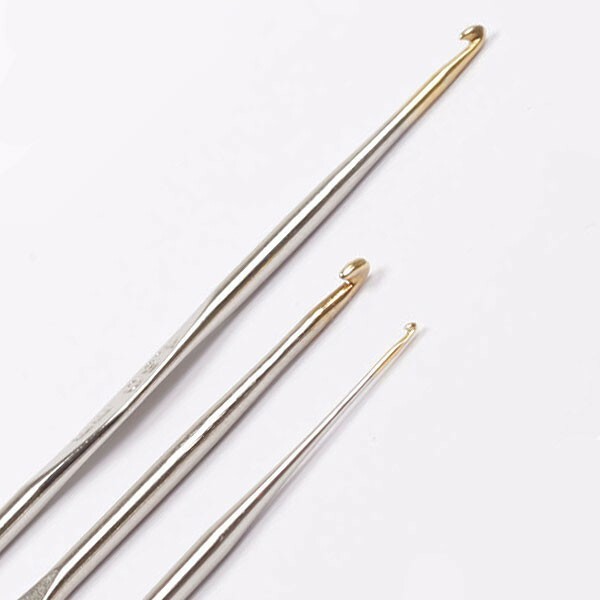 The needle’s gold tip ensures that you can easily see the yarn when crocheting smaller patterns.